In 2015 adidas announced a revolution in football. 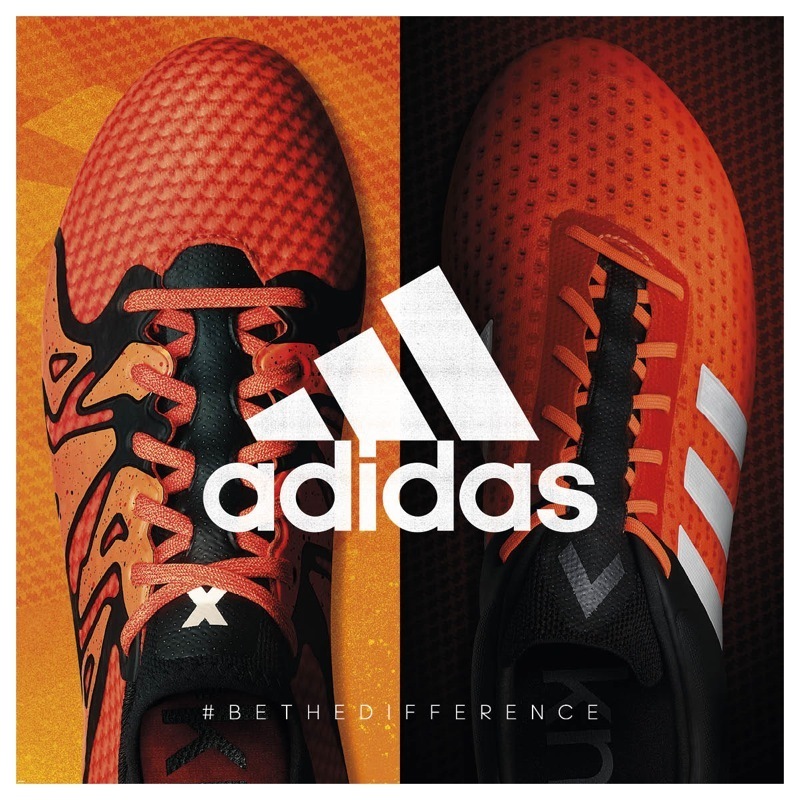 The old adidas boot silos were replaced with two new boots for the modern footballer – ACE and X, for the playmaker and the game changer. The player who controls everything, and the player who causes chaos. Today adidas Football announced that the boots that redefined the game are now available with an all new Primeknit construction. Debuting on the X 15+ Primeknit and ACE 15+ Primeknit, one of adidas’ key technologies has been reimagined for football to offer more control and more chaos on the pitch than ever before. The X player causes chaos on the pitch – one turn, one skill, and one shot can change the game, the season, their career. The X 15+ Primeknit brings next level comfort and fit to ultimate chaos. The tight knit upper gives the game’s most explosive players a next generation fit by locking the foot down to the X-Claw traction plate. Disrupting defenses and embarrassing the opposition feels better than ever with a new collar and tongue made from one stretchable piece of Primeknit. The Ace player controls everything, setting the pace of the game and opening up space with passes that no other player saw. With the Ace 15+ Primeknit, control has never felt so good. Primeknit has been redeveloped with a 3D control upper for the perfect first touch in all weather conditions. This new construct forms the forefoot, while the Controlfit collar padding and a reinforced heel counter remain for assured playmaking and unbeatable stability. Both the ACE 15+ Primeknit and X 15+ Primeknit employ a 3D vacuum skin that offers unbelievable grip and protects the upper in all weather conditions, without limiting the comfort and fit of the boot. What do you think of the new adidas X15+ Primeknit and ACE15+ Primeknit football boots with compression fit? Let us know in the comments section below or on our Twitter and Facebook pages.